When you are searching for tarps, you can find many different available sizes. Tennis court covers and baseball tarps are much larger than the average size tarp that people order. You can order larger tarps that measure 100 x 100 to 170 x 170. Whether you are searching to cover an area like a baseball field or a gym floor, you can special order the size that you need. 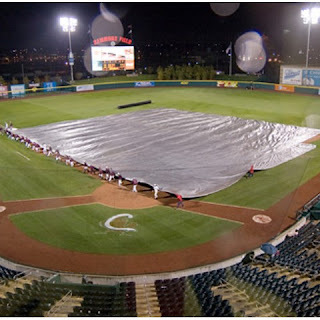 When ordering baseball field tarps, it can be comforting to order from a company that you know has provided these types of covers for use in hundreds of facilities across America. Make sure that the tarps you choose are heavy duty so that they will last through many seasons of use. Sometimes you might need protection from the sun and rain for whatever it is you are covering. Look for waterproof and UV proof tarps so that you can make sure that your investment is protected no matter what the weather conditions look like. Some artists like to order quality canvas tarps for their painting projects. Imagine painting art and designs on a quality canvas that is built to last. They come in three colors, white, tan, and green. You can also contact the company to place a custom order. When you purchase from this company, you can be assured that you are ordering quality materials that are built to last. Don't be fooled by other tarps that use inferior materials. These large tarps are crafted and built to with-stand harsh weather conditions. Tennis court covers or other large tarps can be found online. Ordering is fast and easy. If you ever have any questions, you can ask a friendly sales associate for help. Browsing the website you will find everything you need. In the off chance that you don't, you can special order or place a custom order the size and color you are looking for. Make sure that you have a large shed to store the tarp. To save time have more than one person help lay the tarp out. Use rope on the grommets to pull the tarp evenly. Rolling the tarp and storing it to the side of a baseball field is easier than folding it.